In this part 2 we will look at the final consonant “ㄹ“. This consonant sounds like an English “L“, which is the same as if it where a primary consonant, however the primary consonant normally has an English “R” sound. 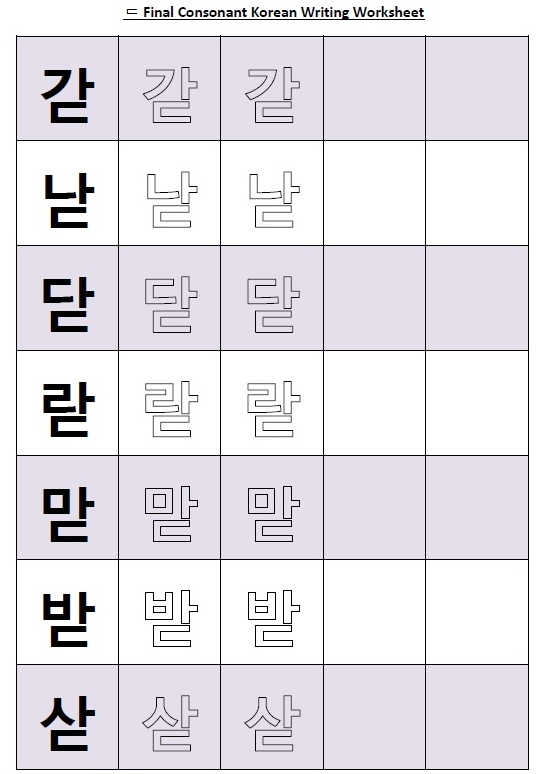 A couple of examples of ㄹ used in Korean words are: 설날– Sol /Nal (Korean Lunar New Years Day) and 굴 – Gul (Oyster). In this part 2 we will look at the final consonant “ㄷ“. This consonant sounds like an English “D“, which is the same as if it where a primary consonant. 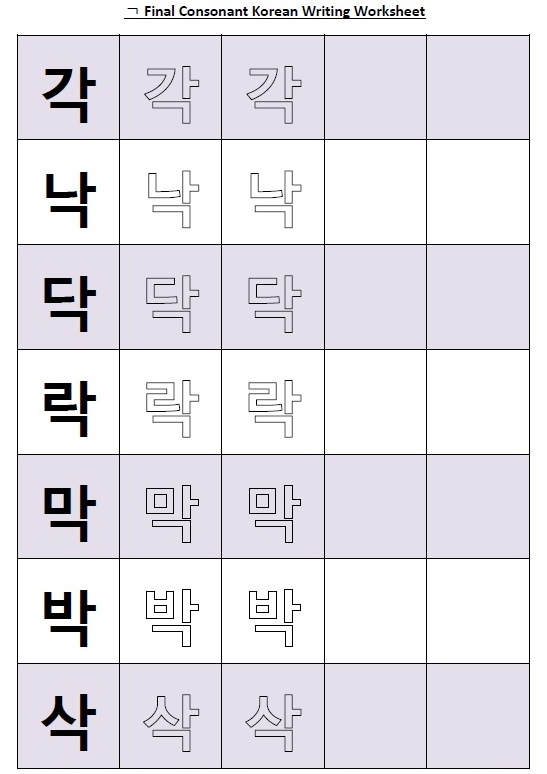 A couple of examples of ㄷ used in Korean words are: 닫다 – Dad /Da (To Close) and 받다 – Bad/Da (To Receive). This final consonant is pretty uncommon. 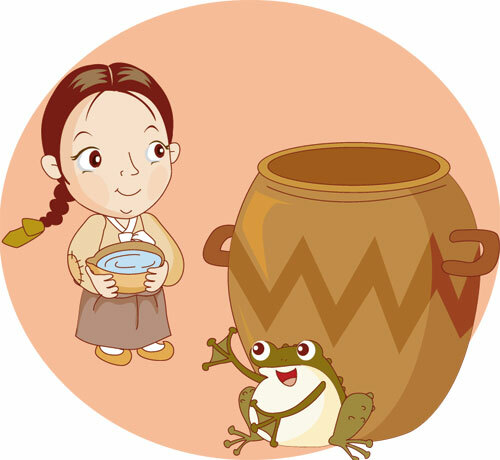 Kongji and Patzzi (sometimes called Kongji and Patji) or 콩쥐 팥쥐 is a traditional Korean story or fairy tale. The story is basically a Korean version of Cinderella, a young girl (Kongji) ends up having to live with her mean stepmother and stepsister (Patji). She is basically treated like a slave until some magical animals and an angel help change her fortunes. After a series of event she meets a prince and lives happily ever after. Of course this is just a very basic overview and other things happen in the story. In this part 2 we will look at the final consonant “ㄴ“. This consonant sounds like an English “N“, which is the same as if it where a primary consonant. 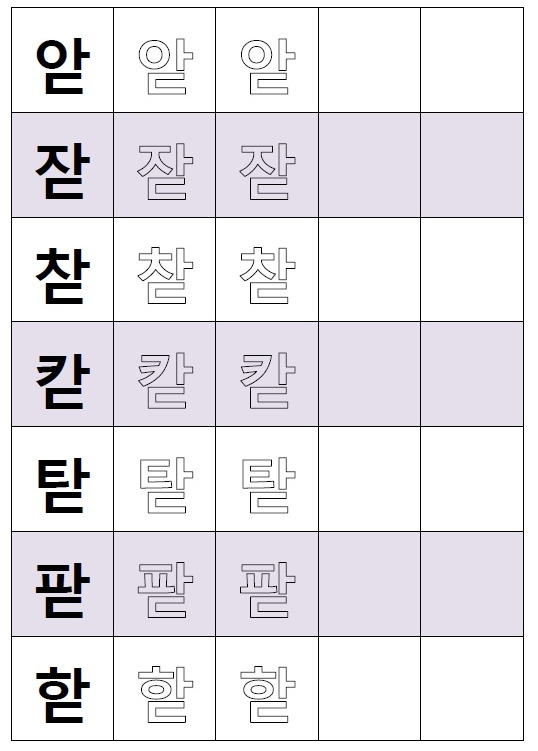 A few examples is ㄴ used in Korean words are: 눈물 – Noon /Mul (Tears), 산 – San (Mountain) and 간식 – Gan / Sig (Snack). Hello again and welcome to our fourth Extended Korean Conversation. The topic for this fourth example conversation is “Visiting the Hospital“, and is between four people friends Min-a & Ji Heon as well as a Doctor and a Nurse. They are talking about their different symptoms as well as discussing possible options. Some of the concepts can be taken and used in a personal hospital situation in South Korea. Thank you for your time today and we hope you’ve enjoyed learning a little Korean with us. If you have any questions or comments please feel free to let us know. 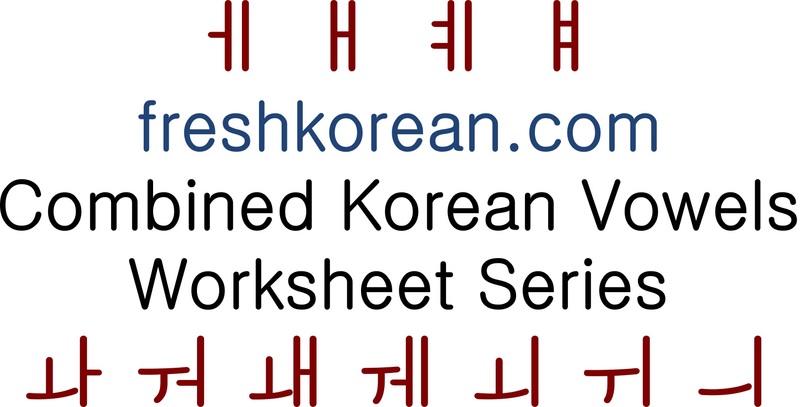 This is the final part of our Combined Vowel Korean Worksheet Series. 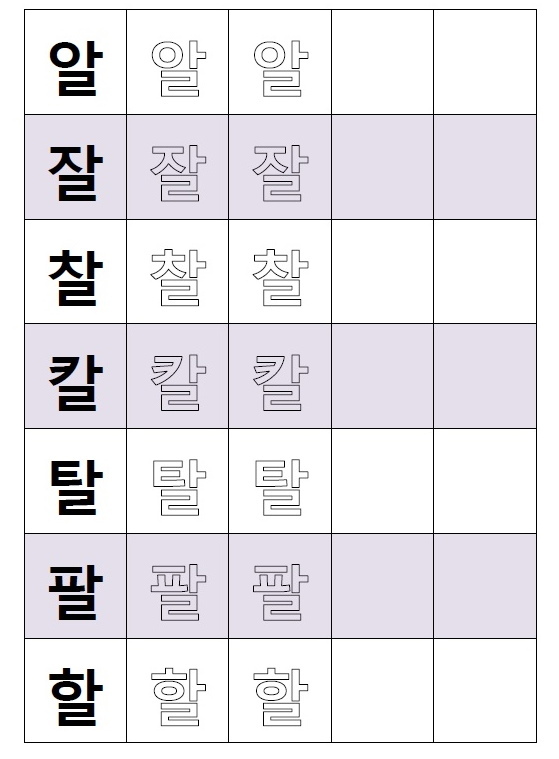 The fourteenth and final Korean character we are going to look at is “ㅎ” which has a sound similar to an English “H“. 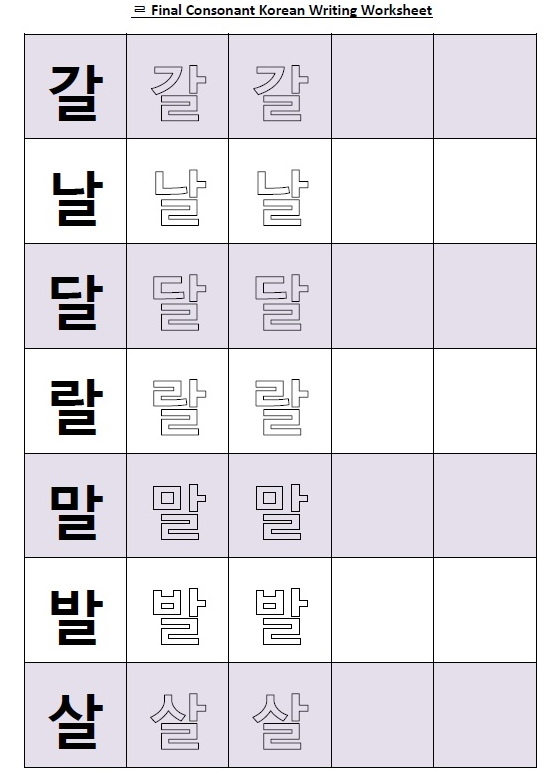 This worksheet includes all the different possible combined vowel combinations related to ㅎ. 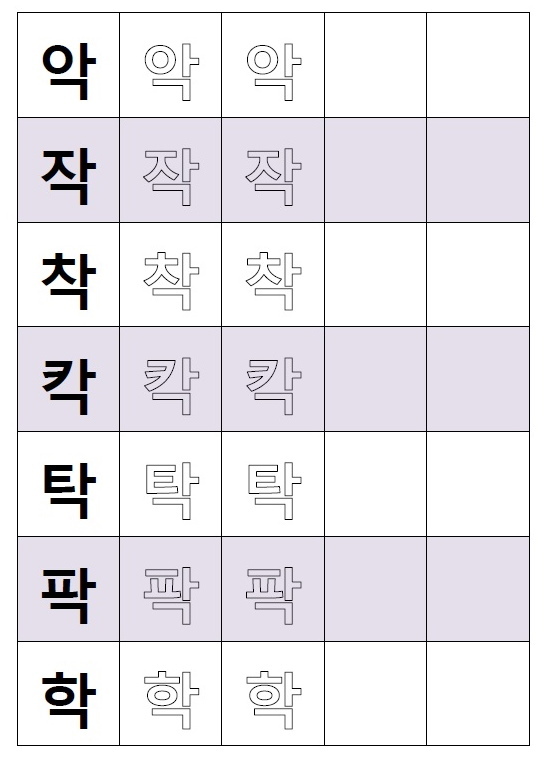 A few example words which include the ㅎ with combined vowels are: 화장실 = Hwa/Jang/Sil (Toilet), 햄 = Haem (Ham) and 해 = Hae (Sun). To catch up with the last part 13 please click this link.